There is little doubt that the amount of water on earth really does not change. There is simply what is known as the Water Cycle whereby evaporation moves water to the sky and then it is redistributed as rain elsewhere. Therefore, the likelihood of an actual flood in Biblical terms that covered the entire world is unlikely. What we do know is that there is a wealth of evidence that the movement of the plates clearly resulted in the great flood that created the Mediterranean sea and there is also evidence that there are cities under the Black Sea no less the Mediterranean. Nevertheless, it is also obvious that the sea level has risen in the Mediterranean even since the time of Julius Caesar (100-44BC). 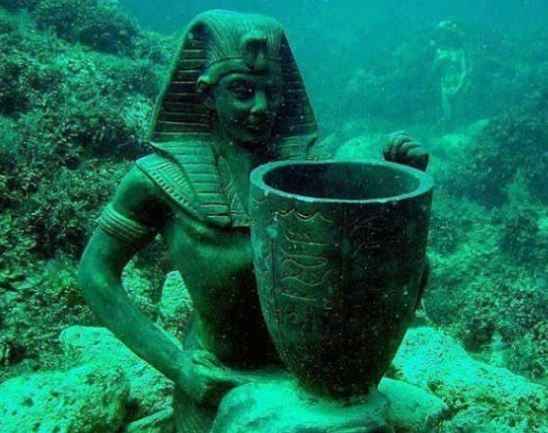 The city of ancient Alexandria in Egypt lies below the sea. Obviously, even in relatively modern times, the sea level has risen flooding communities. So actually stating definitively when did the Biblical Event of the flood take place is difficult to pinpoint because there have been great floods from 3 million years ago to 2,000 years ago. What is certain is that the sea levels have risen and fallen and this is part of nature – not instigated by humans.